Welcome to Memphis! 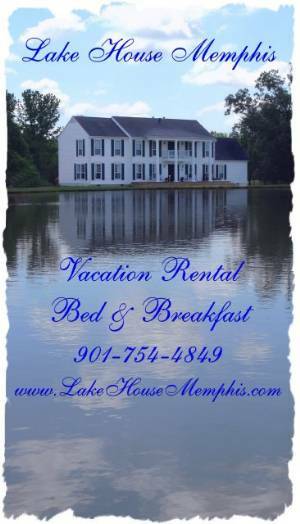 Whether you are staying in Memphis for work or play you will want to consider staying at one of our fully furnished Vacation rentals located in NE Memphis. 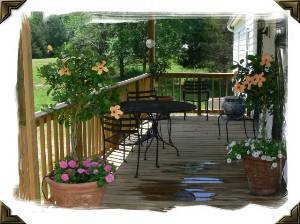 Enjoy the charm of the South at this 73-acre estate with 5 homes to choose from. 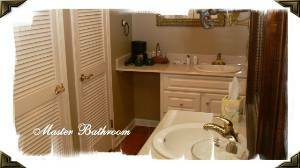 Close to shopping, dining, entertainment and all major roadways. 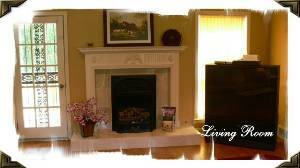 The Lake House ( 5-bedrooms) is a beautiful 3,500 square foot colonial style home located on a small lake in a quiet country setting. You’ll enjoy these free amenities including: Complementary Continental Breakfast with coffee/tea service, unlimited local calls, wireless internet in most homes, hair dryers, refrigerator, microwaves, cable TV, washer/dryer, fully equipped kitchens, Fax/copy machine services available upon request, Pedal boat rentals & snacks and drinks vending machines are available for your enjoyment. Services are subject to change and differ from one house to the next. Be sure to confirm the services you need are available for the home you choose. Book before February and get the 7th night free. 10% discount for renting 2 or more houses. You’ll enjoy the feel of the country with all of the convenience of the city nearby. Memphis means fun and food. Beale Street, Tangy barbeque, Elvis, Graceland, Grits, Rock 'n' Soul Museum, Blues, Sun Studios, Mid-South Fair, University Of Memphis, Memphis College Of Art, Redbirds, Grizzlies, Golf , IMAX, Pink Palace museum, World class Memphis Zoo, National Civil Rights Museum, Shelby Farms arena and park, Jack Daniels Distillery and the guitar factory just to get started. Memphis is located in the southwestern corner of Tennessee and is perched on the banks of the Mississippi River. It is the hub of the tri-state areas of Tennessee, Arkansas and Mississippi. Major Memphis Attractions and Events are Graceland, Memphis Rock 'n' Soul Museum, Beale St. Music Festival, Memphis Music & Heritage Festival, Mid-South Fair. Memphis is a Mecca for Elvis Presley fans and a pilgrimage to Graceland is a must. Elvis built Graceland in 1957 and lived there until his death in 1977. Today, Graceland remains frozen in time. Self-guided tours include a taped narration by Priscilla Presley and sound bites from the “King” himself. Stroll over to the car museum to see his pink Cadillac, purple Caddy, red MG and Harley’s. Take a fantasy flight walking through the Lisa Marie and Hound Dog II, Elvis’s customized jets. Enough Elvis? There’s plenty more to do in Memphis. Dance back to the past with vintage jukeboxes, B.B.King’s “Lucille” guitar, and hundreds of artifacts and exhibits at the Memphis Rock ‘n Soul Museum. Nearby, the National Civil Rights Museum is housed in old Lorraine Hotel, the site of Martin Luther King, Jr’s assassination. Exhibits and shows at the Pink Palace Museum history museum, IMAX Theater and Planetarium enthrall, entertain and educate visitors of all ages. And, don’t miss the March of the Ducks at the historic Peabody Hotel. Every day at 11 a.m. the Peabody Ducks take the elevator down to the lobby and march across the red carpet to the majestic fountain for their day’s swim. At 5 p.m., the march reverses and they return to their rooftop home. It’s a Memphis tradition and a sight to behold. Come and enjoy the charm of the South in Memphis, Tennessee. Anytime is a great time to visit and explore Memphis. More attractions are waiting only minutes from midtown. Go on a quest for treasures and stay for the entertainment in the Cooper-Young District. Ride the Zippin Pippin (Elvis’s favorite ride) at Libertyville Amusement Park. Learn how whiskey is made at the Jack Daniels Distillery. And yes, there are free samples. fun galore around every turn in Memphis. Finally, after a day filled with fun and adventure, you and your friends or family can come home to relax in your very own Vacation Rental Home here at Lake House Memphis. See you soon. Didn't get a response to request for rental from owner after I talked to her on phone. No call back. Thank you so much for a wonderful place to stay. It has been very nice for my son and me. I love your cottage and the grounds. It is so nice to know that there are people that still care about one another. Thank you. DOWN STAIRS MASTER BEDROOM: "The red room"(Sleeps 2 people) This room has a beautiful queen-size Henredon bed, 32-inch LCD TV, Wireless high-speed internet access, hairdryer, lighted vanity mirror and coffee maker with your choice of coffee, tea or hot chocolate. This suite sleeps 2 and rents for $145.00 Sun-Thursday and $165.00 Fri-Sat Rates do not include tax. 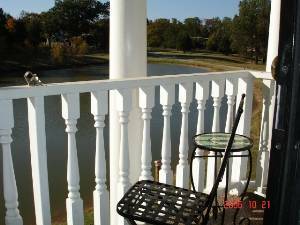 UPSTAIRS MASTER BALCONY SUITE: "The green room"(Sleeps 2-4 people) This suite has its own private balcony where you can enjoy the deer, ducks, geese, turtles and other wildlife that are active around the lake. This suite has a queen-size bed, cable TV, 32 inch LCD TV, Wireless high-speed internet access, hairdryer, lighted vanity mirror and coffee maker with your choice of coffee, tea or hot chocolate. This suite sleeps 2 and rents for $145.00 Sun-Thursday and $165.00 Fri-Sat. Rent the adjoining bedroom with queen-size bed and all the amenities listed above for $80.00 per night Sun-Thursday and $100.00 per night Fri-Sat. Rates do not include tax. UPSTAIRS MASTER SUITE: "The yellow room"(Sleeps 2-4 people) This suite has a queen-size bed, cable TV, 32 inch LCD TV, Wireless high-speed internet access, hairdryer and coffee maker with your choice of coffee, tea or hot chocolate. This suite sleeps 2 and rents for $145.00 Sun-Thursday and $165.00 Fri-Sat. 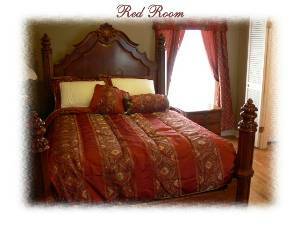 Rent the adjoining bedroom with queen-size bed and all the amenities listed above for $80.00 per night Sun-Thursday and $100.00 per night Fri-Sat. Rates do not include tax. $535 Per night. Rates do not include tax. 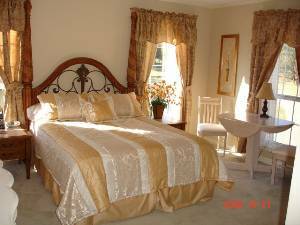 Bedding and décor may differ from what is pictured on the website. Deposit: DEPOSITS: $500 damage deposit can be put on your credit card (by way of a hold) Hold is lifted after your checkout. REQUIRED INFORMATION: Renter must have a valid driver’s license and current credit card to put on file. Driver’s license and credit card must be presented upon arrival. Credit card must have available credit and be in renters own name. Signature on back must match name imprinted on card. 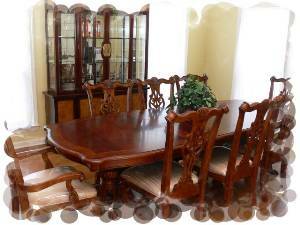 RESERVATION POLICY: 15% of rental fee is due within 24hrs of making reservation. If not received in this office reservation will be cancelled automatically. Full Payment must be received 30 days prior to your arrival date. Christmas and New Years bookings are due 60 days prior to arrival. Failure to pay the balane of your rental fee on time may cancel your reservation and the property may be rented to another party. CONFIRMED RESERVATION: A reservation is not confirmed until the deposit is paid. See reservation policy for full details. Cancellations and Refunds: REFUNDS: There is a 15% handling fee on all cancellations. No refunds are made for cancellations less than 30 days prior to arrival date. If unit is re-rented refund may be made less 15% handling fee.